With the assistance of our hardworking team, we are involved in offering a vast range of Waste Heat Recovery Boiler. This Waste Heat Recovery Boiler is provided in different specifications in compliance to meet universal accepted norms. The offered Waste Heat Recovery Boiler is manufactured with advance technology & quality assured material under the direction of experts. 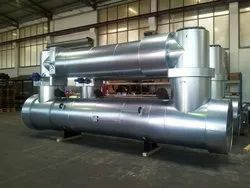 Moreover, our Waste Heat Recovery Boiler can be taken by us within promised time-frame at reasonable rates. Our company is Design, Detail Engineering,Manufacturing,Supply & Exporter of FBC Furnace Boiler. 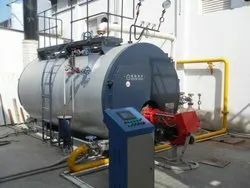 A fire-tube boiler is a type of boiler in which hot gases from a fire pass through one or (many) more tubesrunning through a sealed container of water. Backed by our hard-earned experience of this industry, we are engaged in offering an exclusive Chemical Dosing System. 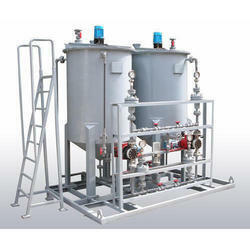 This Chemical Dosing System is broadly used in different applications by various industries, all over the country industries. Our Chemical Dosing System is manufactured according to the market standards by using quality assured material & leading edge technology. Customers can take this Chemical Dosing System from us at affordable rates. We provide a high quality of Shell Tube Boiler.